Two late goals sent Deal sliding to their first defeat in seven matches on Saturday. Reduced to 10 men in the second half following Connor Coyne’s red card, the Hoops finally buckled under heavy Beckenham pressure as the home side gave their hopes of avoiding relegation a big boost. It had been a different story in the first half with Deal dominating the play but unable to convert several good chances, and Beckenham started making them pay within six minutes of the restart through a Hassan Jalloh strike. Hoops’ manager Derek Hares brought on Ryan Philpott in place of Harry Alexander and he quickly made his mark, bringing the Hoops level with a 69th-minute shot from outside the box. But Deal then lost Coyne who was sent off for dissent and Beckenham took command. 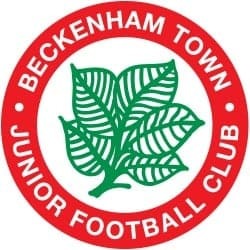 However, they had to wait until two minutes from time before making their pressure count through Jalloh’s second goal, and Luwayne Greenwood then rubbed salt into the Hoops’ wounds with Beckenham’s third in the dying seconds.